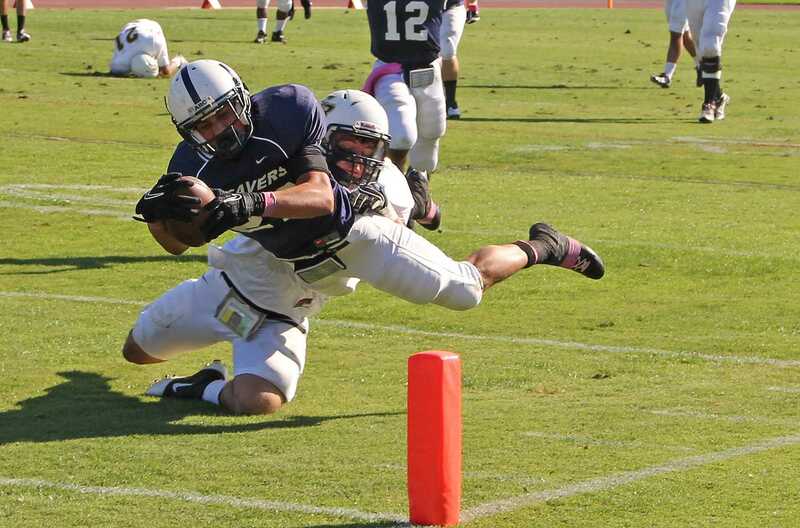 For the third straight week, American River College needed to overcome a second half double-digit deficit to keep the Beavers state title hopes alive. ARC beat College of Sequoias 31-27 on Saturday, Nov. 3 in Visalia to stay tied for first place and now have a season finale showdown with Sierra College for the conference title. Down 27-10 in the third quarter, ARC scored 24 unanswered points to beat COS. The win gives the Beavers (7-2 overall, 3-1 Valley) a tie for the conference lead with Fresno City College and Sierra College. San Joaquin Delta College lost to Sierra on Saturday in double overtime and Fresno beat Modesto. If the Beavers beat Sierra in the season finale on Nov. 9 at Beaver Stadium, ARC will play for the North Division title game against the winner of the NorCal conference—which will most likely be City College of San Francisco. That would be a possible rematch of a Sept. 29 game that ended a 22-game win streak for ARC when CCSF beat ARC 52-33 at Beaver Stadium. ARC holds the tie-breaker over FCC with the win over the Rams on Oct. 20 in Fresno, and a win over Sierra would drop the Wolverines to two conference losses. On Saturday, down 27-7, early in the third quarter, freshman kicker Cameron Southward kicked a 29-yard field goal that began a 24-0 run for ARC. Mike Hicks (18-30 305 yards 2 TD, 2 INT) then found Diondre Batson for an 18-yard touchdown with ten minutes, 35 seconds to go in the game. Hicks then hit Tyler Trosin for a 40-yard touchdown pass with 5:50 left, and then with just 1:10 left in the game, Drake Tofi scored on a 15-yard rushing touchdown to give the Beavers a 31-27 lead. After dropping two straight games to CCSF and Delta, the Beavers have won three straight, outscoring Fresno, Modesto and COS by a combined 80-28 in the second half. Sierra (5-4, 3-1) has won three straight after losing to Fresno on Oct. 13. 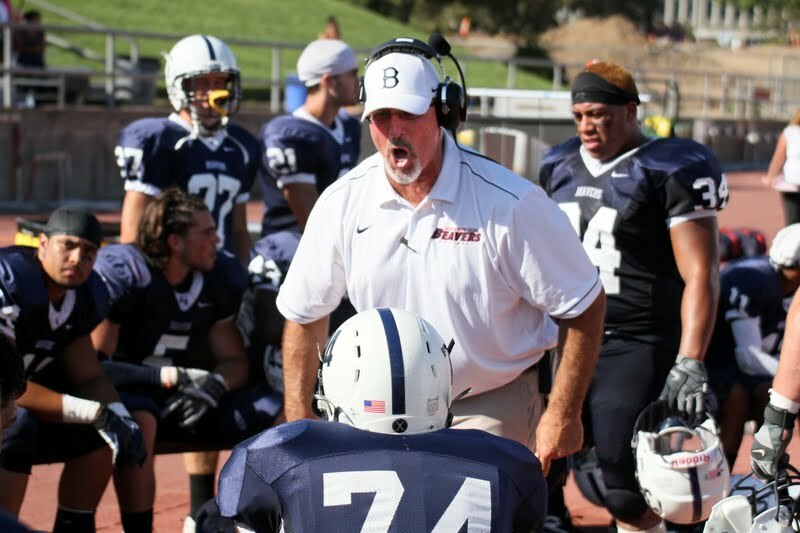 Before the Beavers loss to CCSF on Sept. 29, the last time ARC lost was an Oct. 2, 2009 road game at Sierra College. The Beavers went on to win 22-straight, including an 11-0 record last season. 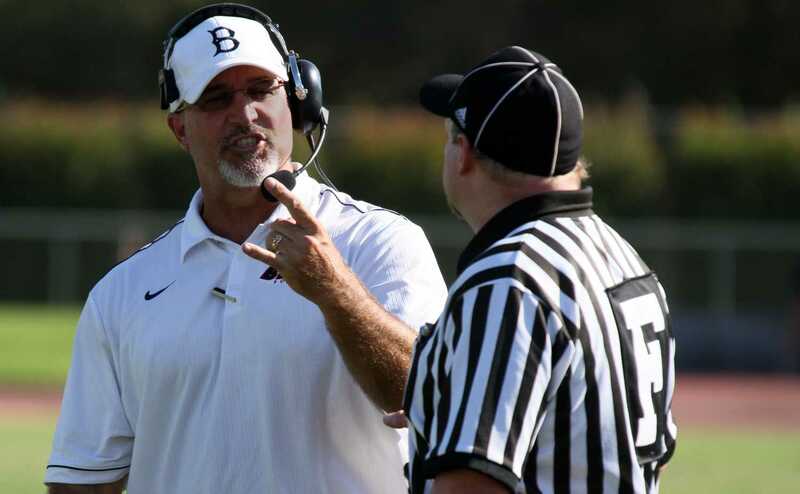 “On Sept. 29 after the loss, we closed the door on that game and make the most of our conference run and see what happens with the hopes that we could get (CCSF) again,” Haflich said. 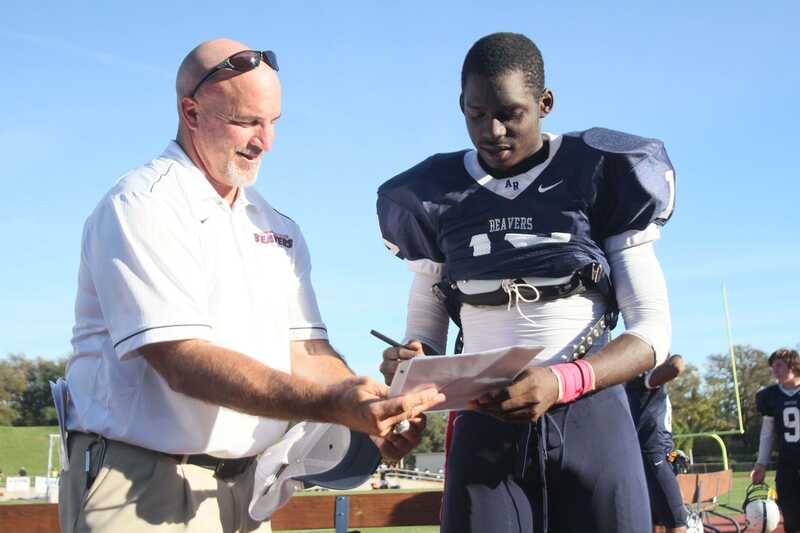 Wide receiver Diondre Batson, who just signed a letter of intent to run track at the University of Alabama, led the Beavers with seven catches for 138 yards and one touchdown. In the four games he has played for ARC this season, he has 15 catches for 412 yards and four touchdowns. Kickoff against Sierra will be at 1 p.m. at Beaver Stadium. Be the first to comment on "Win gives ARC upper hand for conference title"